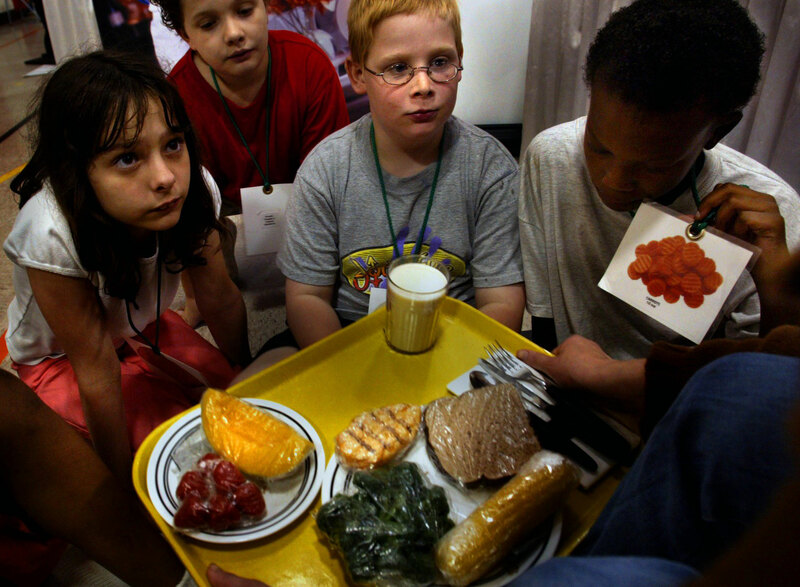 Schools are trying to do a better job teaching kids how to eat right. "When all the food are different colors and textures that means you're meal is pretty balanced," says teacher assistant Sara Haag, leading the Cafeteria Station part of the Food Power Adventure at Parkwood Elementary School. Fourth graders from left to right: Patricia Paul,10, of Bridgeton; Evan Fornachon,10,of Maryland Heights; Phillip Bell,10, of Bridgeton; and Takira Harlan,10, of Maryland Heights.